Welcome aboard! We are the Chattanooga chapter of the United States Power Squadrons®, the largest boating organization in the US. We are a	volunteer organization to promote skillful as well as safe boating fun through public and member education. We also participate in boating civic activities. The Chattanooga Squadron is a unit of District 17 of the United States Power Squadrons, "America's Boating Club®", whose home offices are located in Raleigh, NC. The Squadron draws its membership from residents of Southeastern Tennessee and Northwestern Georgia. 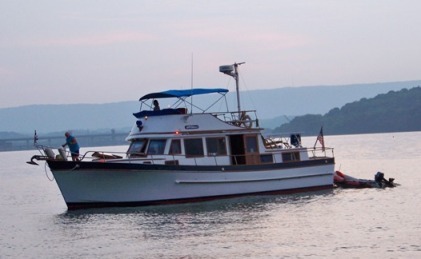 We operate on the Tennessee River and its many tributaries, including Nickajack Lake and Chickamauga Lake. 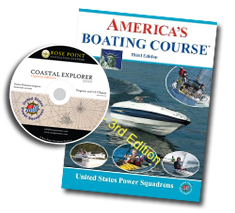 We offer many varied boating related classes and specificly the American Boating Course as an introduction to boating for new boaters. We can also help you get your TWRA boating license, which is a great idea for everyone and is a requirement for those born after January 1, 1989. The introductory class may be all you need for now, but for many it	stimulates a desire to learn more. If that is the case, your next step is to become a member and take Advanced Classes. People join for the classes, then discover they have become part of a boating family of like minded people who meet for relaxed social gatherings. You also have an opportunity for public service through our education program, cooperative charting or vessel safety checks. You can also help at large boating events.